In 1907, Dr. Maria Montessori developed the Montessori Method, a groundbreaking style of education that focuses on childhood development and instilling lessons, through self-guided and hands-on learning and play, to mold students into well-round individuals. The Montessori Method made its way to the U.S. in 1912, when more than 100 schools were created to practice Dr. Montessori’s teachings. Today, there are more than 4,000 Montessori schools in the U.S. and over 7,000 worldwide. However, there are still questions about the sustainability of the Montessori Method, especially from those who are unfamiliar with the Method. There are also schools who use the Montessori name but don’t practice the Method fully, causing confusion and debate. This blog post will hopefully answer those questions and debunk common myths about Montessori schools. Montessori schools are all play and no work. To put it simply, Dr. Montessori believed that a child’s play is their work. She developed a curriculum that allowed students to explore freely while performing tasks that taught them valuable life skills. This purposed play utilized special materials that were designed to help children develop fine motor skills, such as pouring and scooping, and empower imagination. The Montessori Method focuses on following the child, meaning each activity is developmentally appropriate and challenging for their individual skill set, changing as the child grows. Older Montessori lessons might not be described as “play” but rather as experiential or holistic learning. Montessori schools have no structure and kids can do whatever they want. Montessori environments have specially designed tools and materials to encourage growth, auto-education and creation. While students are able to choose activities, using their own interest as a guide, students must work on a project. This selection encourages students to become more independent, self-reliant and responsible. Montessori students are intellectually behind compared to traditional students. Montessori schools teach young students abstract concepts through the use of tactical, concrete materials. In a Montessori classroom, for example, students use beads to practice complex math principles, such as division and multiplication. This developmentally appropriate style of learning ensures young children are able to grasp essential foundational concepts, later converting this understanding to abstract execution. When Montessori alumni are faced with intellectual questions, they are able to answer them appropriately. Montessori graduates are not prepared to enter traditional schools or to take standardized tests. 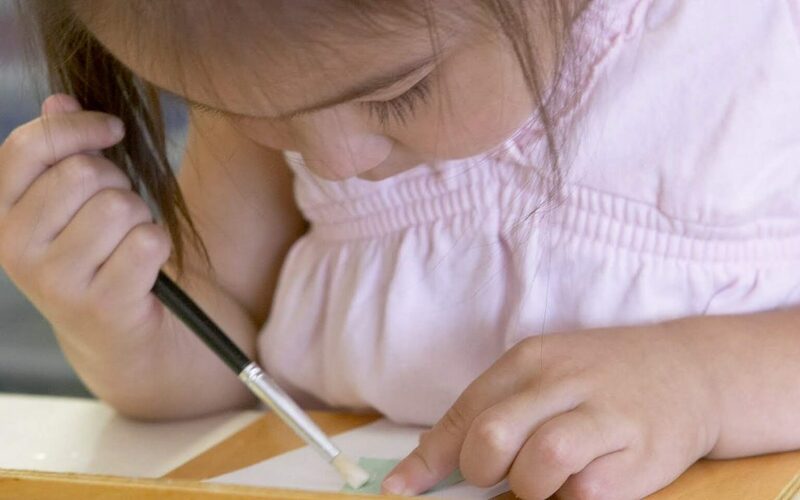 While the decision to perform standardized testing is left up to each Montessori school, there has been significant research that shows Montessori students do substantially better on standardized tests compared to traditional students. As for social interaction and engagement, Montessori classrooms are grouped together with multiple ages, and younger children are often taught by older children. This allows students to learn how to work well with others and collaborate with people of different ages, making the social transition to a traditional classroom a smooth one. In fact, there any many highly successful well-known Montessori students and graduates who have gone on to successfully bridge the gap between Montessori and public education – check out our blog post to see who! Montessori schools teach based on childhood development, with the end goal being the production of globally-minded, independent citizens. If you have any other questions about Montessori schools or are interested in learning more about Maria Montessori School, feel free to call us at (901) 527-3444.